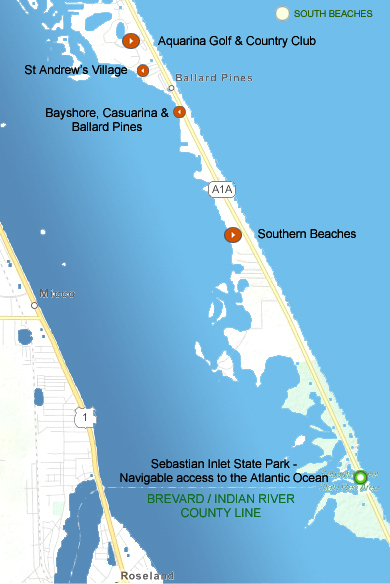 Central Florida’s beautiful Melbourne Beach area is a barrier island paradise ranging from 5th Avenue in Indialantic through the pristine south beaches to Sebastian Inlet State Park. You’ll find a “neighborhood” spirit here. 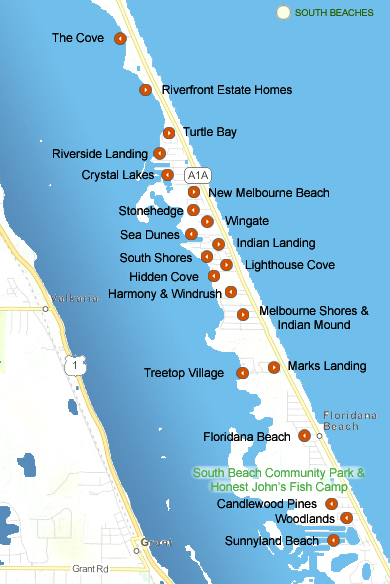 We’re all here to enjoy the perfect Florida lifestyle! 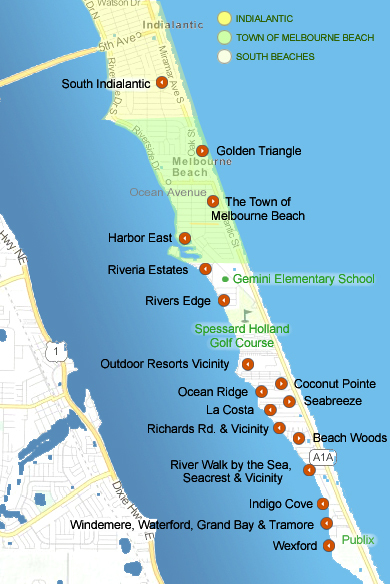 Melbourne Beach Real Estate varies significantly depending upon which community appeals to you. Use the maps below to learn more.